Burger Bear has come a long way in 6 years.... 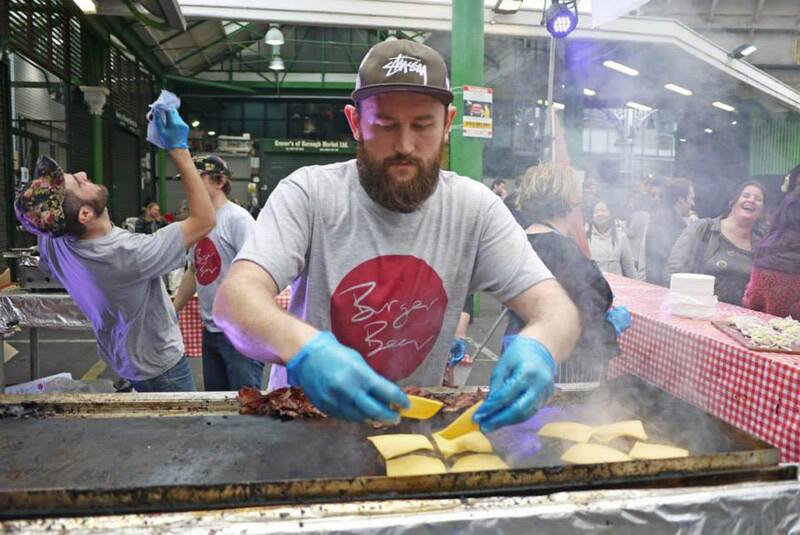 Started on the street food scene and still works it today. We've grown in to The Old Nuns Head, Stokey Bears (now closed), Magic Roundabout, We Are FSTVL, Glastonbury, Block9........... and finally a new home in Bristol! Roaming around London serving on the streets, our Peckham home The Old Nuns Head or our London HQ #MagicRoundabout. Our new Bristol home on Gloucester Rd and all the biggest and best festivals!!!! You can always guarantee I'll have the disco pumping, the Q dancing and the burgers flowing. Our meat is supplied by Charlie at Flock & Herd, Peckham's finest butcher. His meat is sourced locally and is as sustainable as it could be. We pride ourselves in using local businesses. We try to keep it South! Yep. 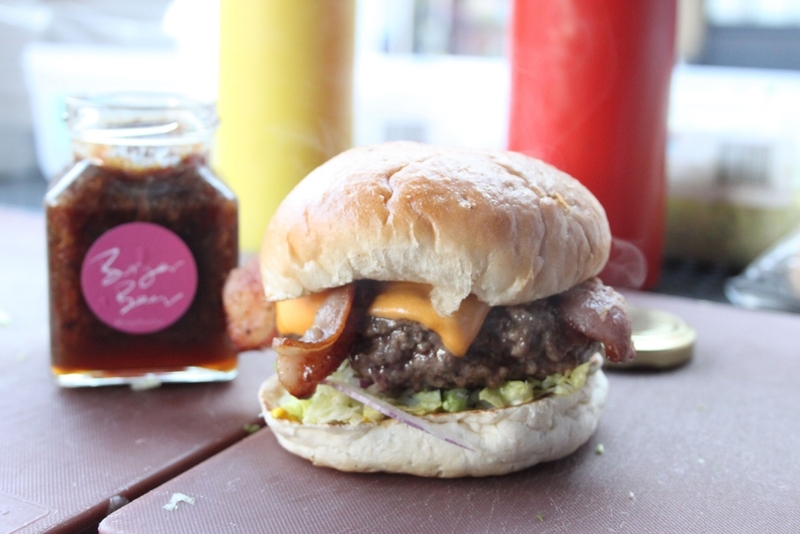 You heard right, Bacon Jam, the glorious ingredient that we make from 12 crazy ingredients (including our dry cured streaky) in our disco kitchen in South London. Horton.... Well, If you've been to Burger Bear then I need say no more. Pretty much from the start, H has been around, backing me up and rocking the grill whenever i'm not around, or for that matter if i'm too busy chatting to my customers (shmoozing darling)... Also, Horton is an amazing DJ, with his huge collection of 12"/7"s of Disco, funk, rare groove and the rest, we are proud to have him as our rocking resident DJ at Burger Bear. Thats me, Tom.... The dancing disco brains of the operation. 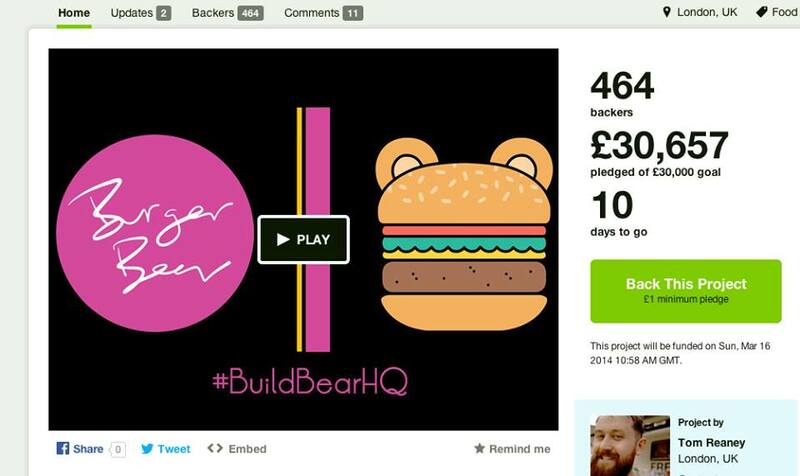 Burger Bear was launched out of a need to be my own boss and support my family doing something that not only made people smile whilst making money but also turned work in to a fun filled playground! It's the hardest job i've done to date but I love every minute. The business is growing as planned and I can't wait to see what the future has in store for me and my Bears. The Drewstead Crew, made up of several members and honorary members,. These guys are my back up team and Bacon Jam makers. 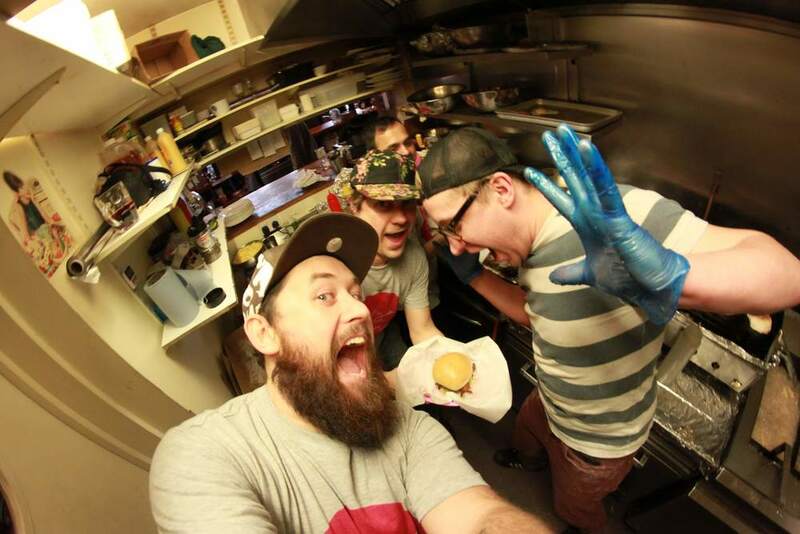 These guys are the backbone of Burger Bear, without them, I'd have to work 20hrs a day every day and I owe a lot to them for the crazy hours and the HARD work! Alex, Kuba, Tobias, Jack, Dim, to name but a few. Personally, I don't think anyone is doing what we do, like we do it.... Come down and try for yourself and if you don't leave with a massive smile on your face then I'll eat my DISCO BALL!